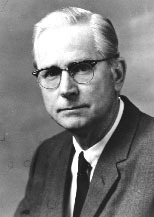 Joseph Langan was a Mobile city commissioner from 1953-1969 and Mayor of Mobile. Langan was born in Mobile in 1912. He graduated from Murphy High School in 1931 and was not able to go to college, but studied law and passed the state bar examination in 1935. He continued his studies and graduated from Springhill College in 1951. In 1938, he was elected to the state legislature representing Mobile County. He served in the armed forces during World War II with the 31st division, 93rd division, the 8th army and was chief for the 8th Army Area Command as a Colonel. He served in the state senate from 1946 to 1950, served one year as a member of the county commission in 1951, and was then again called back into service in 1951 for the Korean War. He served two years on the army during the Korean War. In 1953 he was elected to the city commission and served on the city commission from 1953 until 1969, sixteen years. He was president of the Alabama League Municipalities and one of the directors of the National League of Cities of the United States. Langan built Municipal Park (now named for him) and the Mobile Museum of Art. He helped change a city spoils system to a merit system that reduced corruption. Langan worked with John LeFlore to achieve peaceful integration of Mobile. His work led to the hiring of the first black policemen and firemen, and he encouraged banks and other businesses to hire more blacks. While some racist whites criticized him as doing too much to promote integration, some blacks complained he did too little. In 1969, he was caught in the middle and was voted out of office. A statue of Langan and LeFlore was installed in Unity Point.